We know that color accuracy is important both to professional designers and today’s demanding consumers, and our new ProArt displays ensure that both user bases are not only satisfied but will be treated to experiences beyond their expectations. 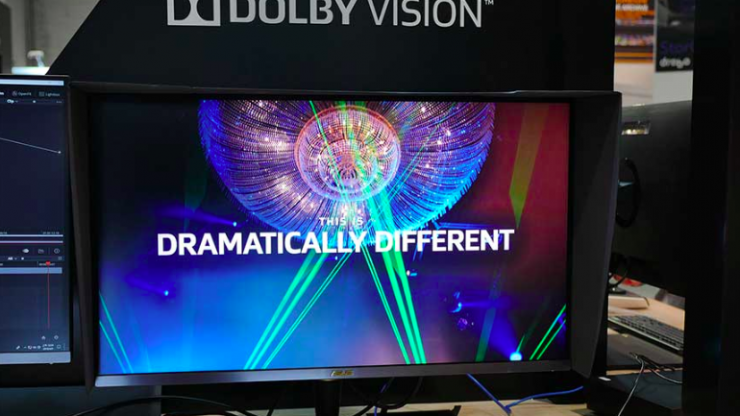 According to ASUS, Dolby Vision transforms entertainment experiences with ultra-vivid picture quality, providing incredible brightness, contrast, color and detail to bring entertainment to life. 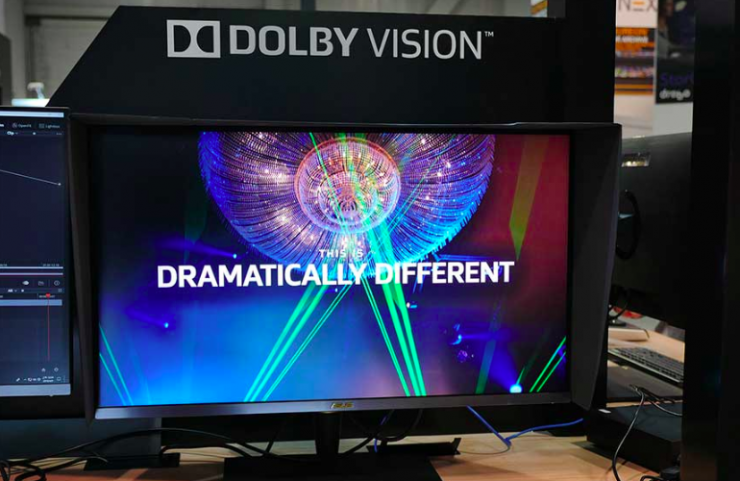 When compared to a standard picture, Dolby Vision can deliver colors never before seen on a screen, highlights that are up to 40 times brighter, and blacks that are 10 times darker. I’m not sure whether this monitor is true 10-bit or a 8+2 FRC. 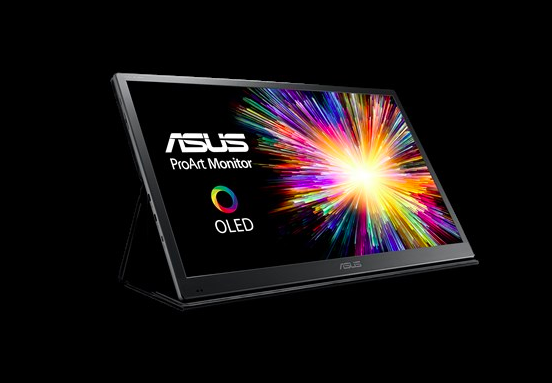 ASUS ProArt PA32UCX is the world’s first 32-inch 4K UHD HDR monitor with peak brightness of 1,200 nits and mini-LED backlighting: this enables 1,000+ zones of local dimming control and support for multiple HDR formats, including Dolby Vision, HLG and HDR-10, enabling the display to produce the brightest whites and the deepest blacks with sharper, more detailed visuals. 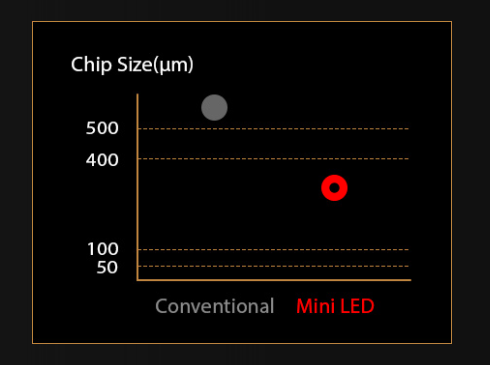 With true 10-bit color and quantum-dot technology that support DCI-P3, Rec. 709, Rec. 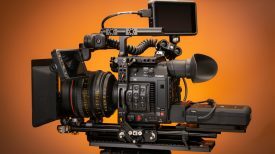 2020 and Adobe RGB wide color space and a rich selection of connectivity, including dual Thunderbolt 3, DisplayPort and three HDMI 2.0 ports. 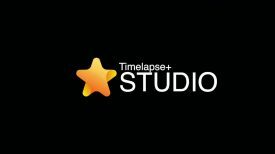 HDR-10 support ensures compatibility with existing streaming video services and a growing list of HDR-enabled games, including PQ hard clip curve, PQ Optimized and PQ Basic, to cover all content creators’ needs. While hybrid log gamma (HLG) support addresses broadcast and satellite TV, including the BBC’s iPlayer and DirecTV. 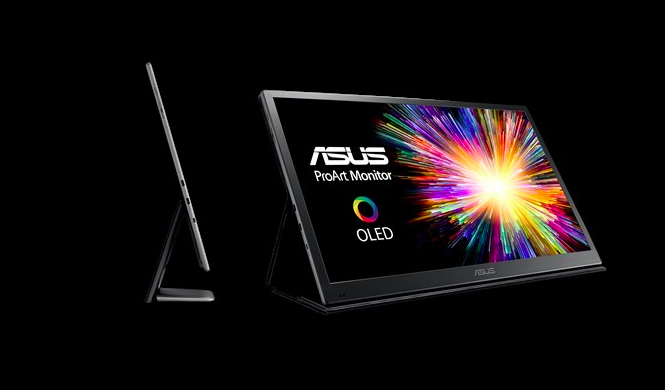 ASUS ProArt PQ22UC is a 21.6-inch OLED portable monitor with 4K UHD (3840 x 2160) resolution and support for multiple HDR formats including Dolby Vision, HLG and HDR-10. 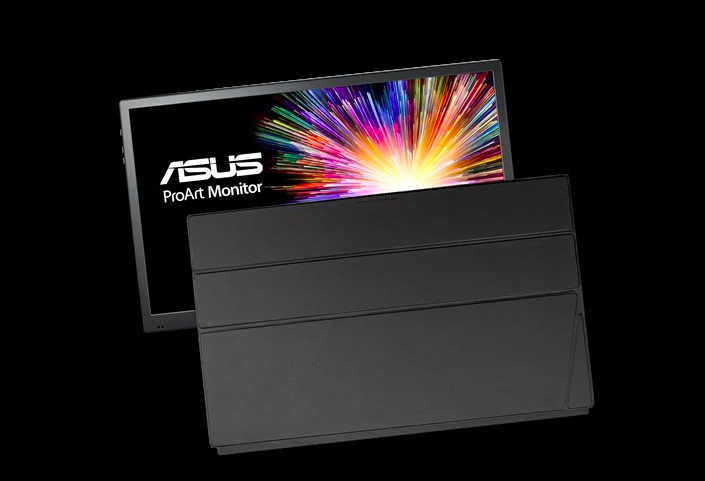 The monitor includes a micro HDMI and dual USB -C ports. It is also compact and features a portable design with an easily detachable stand and smart cover. USB Type-C supports data transfer speeds of up to 5Gbps and 4K UHD output for external displays. The reversible USB Type-C connector design makes connecting to any device a quick process. 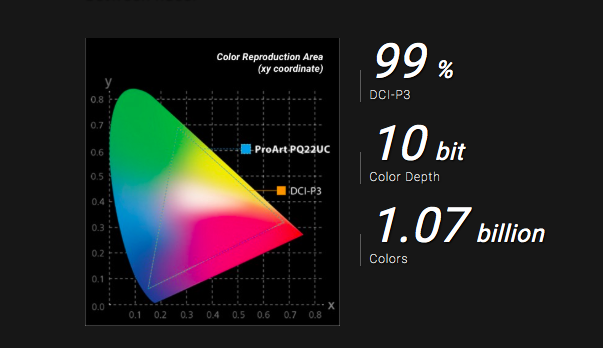 Featuring an advanced OLED panel with billions of independent, pure-RGB, self-illuminating pixels and an outstanding 1,000,000:1 contrast ratio, ProArt PQ22UC reproduces truly lifelike images with 99% DCI-P3 gamut coverage in deep blacks and tonally accurate highlights. 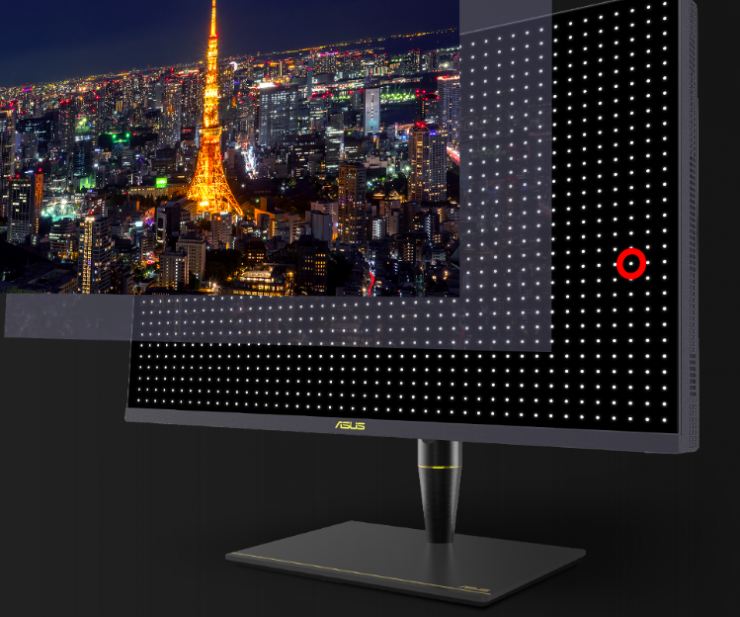 Its 4K UHD resolution panel with a pixel density of 204 ppi, and it is claimed to provide up to 300% more on-screen space than other FHD monitors of a similar size. 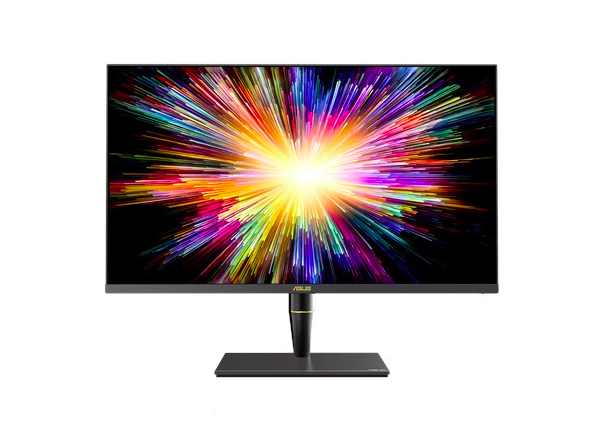 With a claimed response time as low as 0.1ms, ProArt PQ22UC is the fastest monitor in the market and delivers outstanding, blur-free performance. While there doesn’t seem to be any official pricing or availability, we believe the ProArt PA32UCX will retail for around $3000 USD. 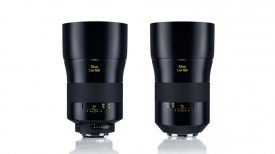 Both monitors are expected to start shipping in the northern hemisphere spring.